How is Markham fuelling economic growth & combating climate change? 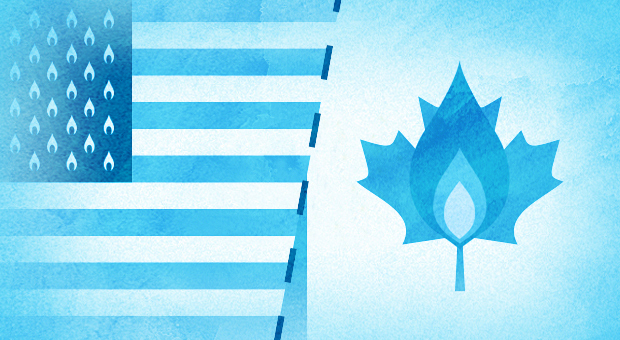 In both Canada and the United States, natural gas is in the media spotlight. In Ontario, the discussion is about the provincial government’s relocation of two natural gas-burning power stations. Apparently, natural gas makes for exceptional political fodder. They are recognizing natural gas’ role in helping industry take off again, creating jobs, and giving the consumer access to clean, affordable and reliable energy – a big part of a sustainable, independent future. Of course, this is all old news for Ontarians. While the world around us wakes up to the possibilities of natural gas, we’ve already had a long and fruitful relationship with the fuel for years. After all, it accounts for 1/3rd of Ontario’s energy use. Our well-established, reliable, and still growing infrastructure serves homes and businesses across Ontario. And we like it that way. To contribute to this discussion, please leave your thoughts in the comments below. The low price of abundant natural gas undoubtedly benefits consumers in terms of their home heating, hot water, and electricity bills. But bargain natural gas prices are also having some secondary benefits for the economy. Long flagging and in some cases dormant, the American manufacturing sector stirs once more. Unlocking shale gas has led to this wellspring of newfound success. European manufacturers, beleaguered by expensive inputs in their home countries, are crossing the Atlantic. Manufacturers of steel, glass, paper, fertilizers, plastics and other useful products, all count on natural gas as a critical component of their manufacturing process. And every business can benefit from cheap energy. They are, once again, viewing America as the legendary land of opportunity. German chemical giant, BASF, views the expansion of their American operations, pragmatically – the price of natural gas is a quarter of what it is in their country. As a result, the company is funneling in $5.7 billion of new investment and expansion. This trend could continue for the foreseeable future, where many companies around the world are looking to cut costs and remain competitive. In fact, nearly $20 billion in manufacturing projects are set to occur before 2015, where a million new jobs will be created by 2025, according to PricewaterhouseCoopers. It all goes to prove how natural gas, once again, proves the ideal energy source – particularly for refueling an economic comeback. Do you think natural gas can reinvigorate the manufacturing sector in Ontario? Please share your thoughts with us in the comments below. Did you know the Zambonis in Fort Erie are environmentally friendly? Talk about iconic Canadian vehicles and the Zamboni no doubt comes to mind. Last month, we spoke about how community arenas, university sports facilities and NHL teams alike have begun converting their ice re-surfacers to being powered by natural gas. But did you know that the Town of Fort Erie has made that change? In the video below, TVCogeco Niagara’s Anthony Luongo speaks with Sean Hutton, Manager of Facilities at the Town of Fort Erie, about the economical and environmental benefits of converting their Zambonis to being fuelled by natural gas. Let us know what you think of Zambonis making the switch to natural gas. Currently sitting at around 7 billion, the world’s population is predicted to increase to 9 billion by 2050, with 3 out of every 4 people living in urban centres. As a result, electricity demand will double – mostly due to China and India, where 2 billion people currently have no access to electricity. With a heavier reliance on public transportation, changing attitudes toward car ownership, radical improvement of the electric car, the world’s future is almost certainly electrical. But that’s a lot of electrical power. How do we generate it? 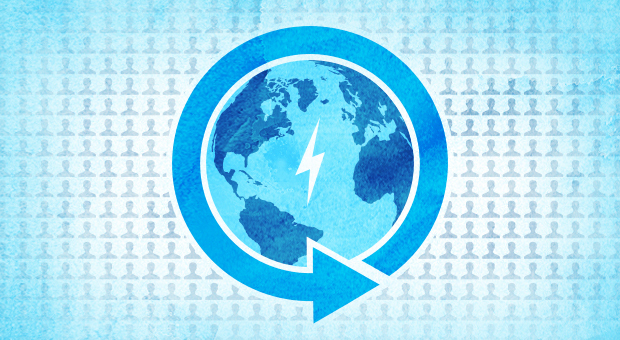 With the world racing to reduce its carbon footprint, as well as striving to rely less on foreign energy sources, they must bring balance to this energy mix. With new, nearby sources of shale gas being discovered all the time, this is a space abundant natural gas could occupy. For most countries (and especially Canada) using more natural gas can be the most effective and quickest way to affect significant short-term change to CO2 emissions and costs. Plus, it’s the most affordable: Coal-fired electrical plants are 2-3 times more expensive to produce than gas. Nuclear? Five times more. Wind turbines 7 to 15 times more. Not to mention, natural gas can make immediate contributions to public transportation and home heating and cooking, the way it always has. Let us know your thoughts on the future of energy and natural gas’ role in it, in the comments below. Union Gas President Steve Baker Spoke to the London Chamber of Commerce. On Tuesday April 16th, Union Gas President Steve Baker spoke to the London Chamber of Commerce about how natural gas has been a game-changer in the energy market. It’s something we as Ontarians pay attention to. Baker spoke to natural gas continuing to be the most affordable energy out there. Residential users have been saving $275 to $400 a year since 2008, and commercial/institutional users have been saving about $10,000 to $15,000 each year since 2008. To read more about what Union Gas President Steve Baker spoke about on Tuesday, click through to this article from The London Free Press. 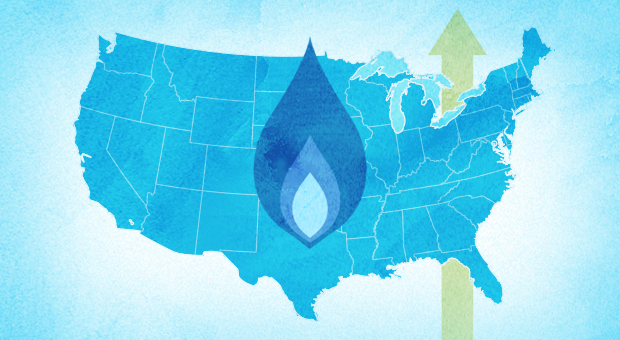 Do you agree that natural gas has been a game-changer in the energy market? Share your thoughts in the comments. © 2019 Ontario Natural Gas Alliance. All rights reserved.